The combination of a pure Afghan combined to the Haze male can only create something fantastic. The area to work on with this plant is the yield and time of yield so selection is a must for those who look for the right type of blend of both parents. 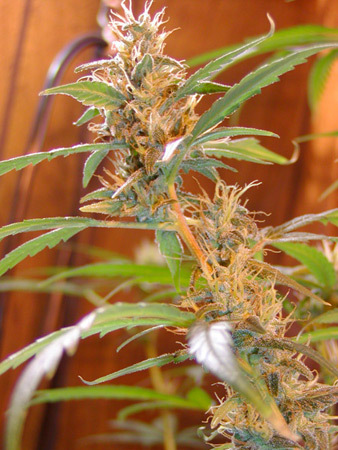 Both parent plants are very established on their own and have achieve greatness for medical patients worldwide. 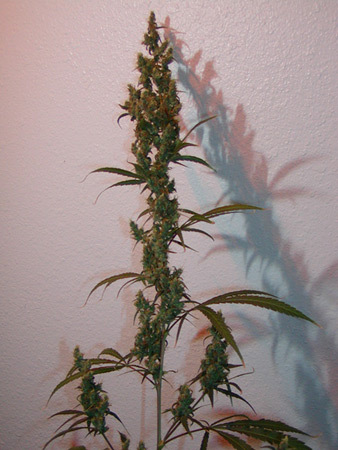 An excellent strain to have in the medical gardens that are springing up all over the globe. Do your friends a favor and spread the plant's products around...you will be helping the world with its pain! Flowering period: 10 weeks from the onset of flowering,mid October if the climate is suitable in the northern hemisphere and April in the southern hemisphere. Recommendations: For the grower who is keen to learn about Haze hybrids... so preferably not first time growers. Special Notes: This strain won a lot of hearts over the passed few decades as it was a staple in the early 90's when Nevil conceived it at The Seedbank. Click here to visit "Afghan Haze" forum!